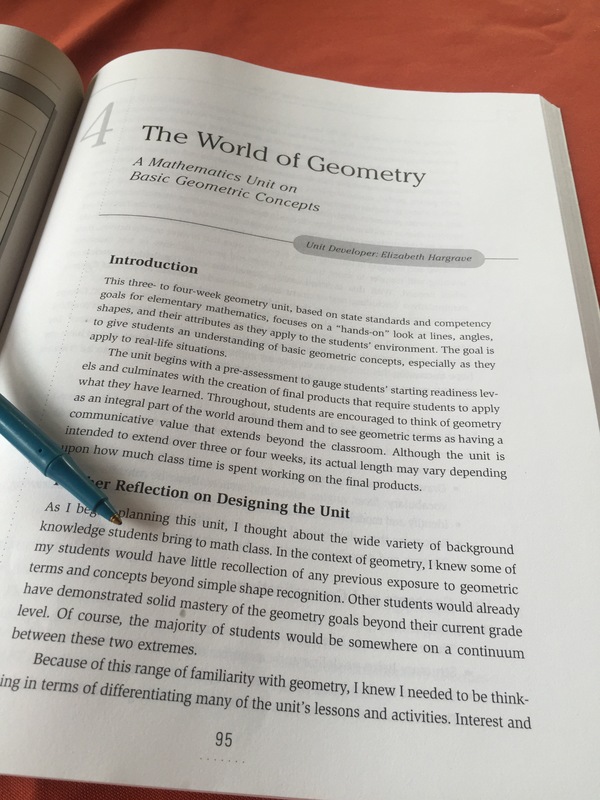 Unit four in Differentiation in Practice by Carol Ann Tomlinson and Caroline Cunningham Eidson is a Math unit titled The World of Geometry. I was very excited about reading this chapter as I find Math the biggest struggle for me to teach. I’m a trained high school English teacher so elementary math is still something I’m wrapping my head around. 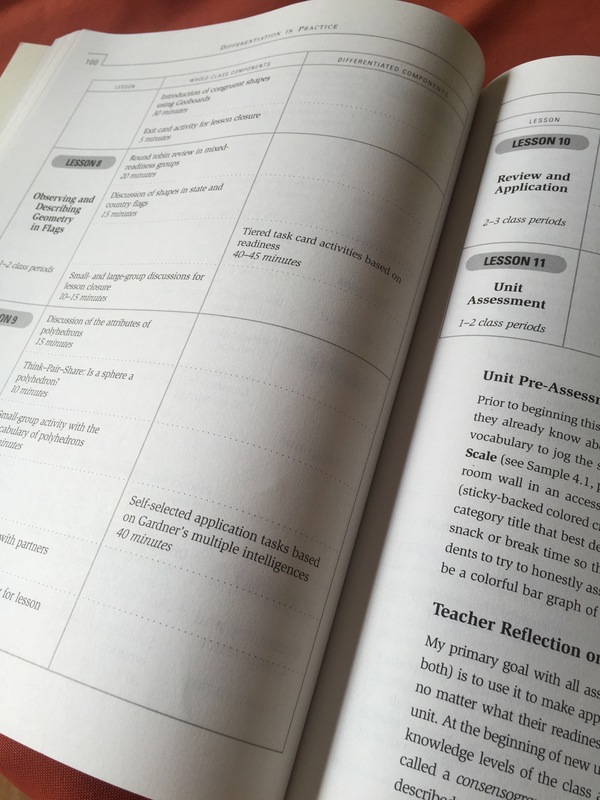 This unit was very good for me because it offered a plethora of classroom activities which don’t involve students having to do boring worksheets, which I always like! If you’re interested in finding out more about the book, here’s the link to it on Amazon. Happy reading! I recommend this chapter to anyone out there who, like me, feels overwhelmed with teaching elementary math and making it fun and hands-on. I also continue to recommend the book as a whole to teachers looking for more ways to differentiate their lessons and units for all of their students. If you’re interested in the book, here is a link to it on Amazon. Happy reading!